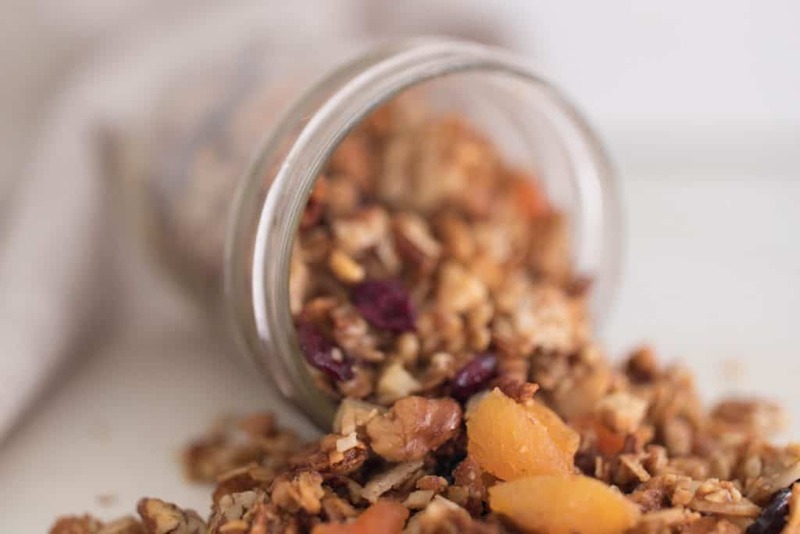 This rustic granola recipe with coconut, dried cranberries and apricots is one of my favorite granola recipes. With a big glass of cold milk, it is the perfect Christmas fall and winter treat. We eat granola regularly in this house. It’s easy to make, full of whole food ingredients and great for a quick snack. 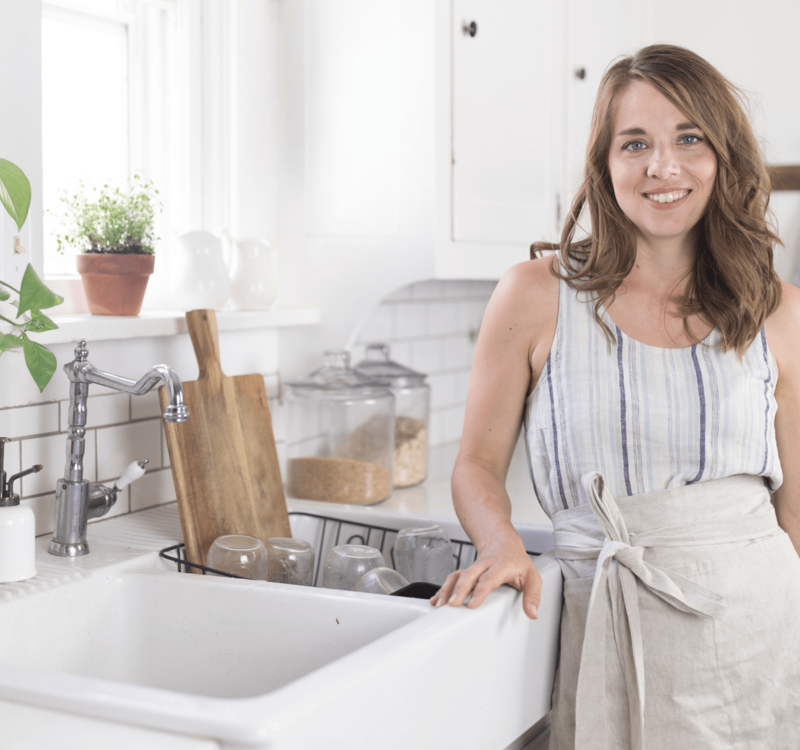 My family and I love to make a huge bowl of granola and fresh raw milk. This rustic granola is also really good to top off some a bowl of homemade yogurt. I usually make this rustic granola on a Wednesday night when the kids are at church doing their Wednesday night activities. Sometimes I don’t get around to it so I make it on Saturday. This granola recipe is super quick to whip up. I double the recipe so I have it on hand to serve during the week. In a large saucepan melt coconut oil on low heat. Stir in the honey and salt. Add the chopped nuts, coconut chips and oatmeal. Spread the mixture in an even layer in a 9” by 13” glass pan. 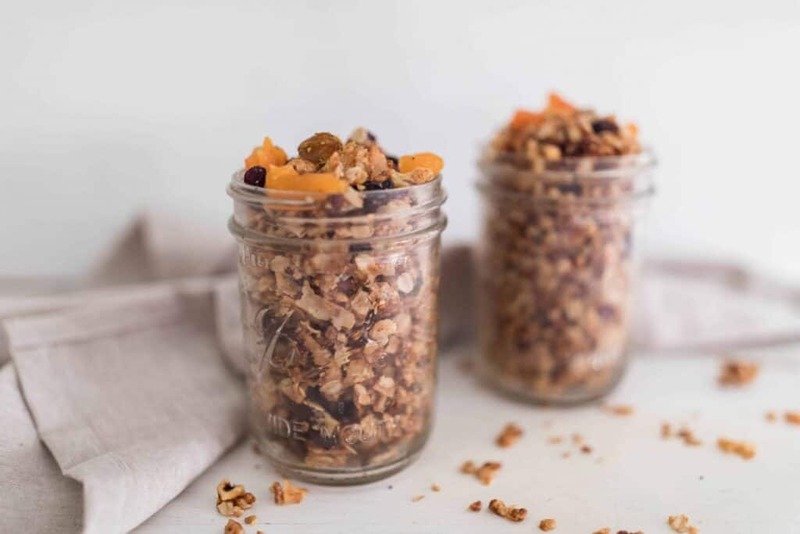 Toasty coconut chips, chopped pecans and big chewy pieces of dried apricots make up our favorite granola recipe. It’s the perfect snack for my forever hungry brood of young people. 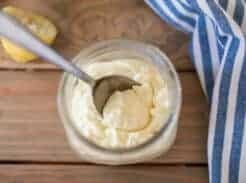 They love it over some honey sweetened yogurt, or drowned in a bowl of fresh raw milk. I usually double the recipe and keep it out in a glass canister on the counter at all times. For this recipe, I used rolled oats, not the quick oats. I love coconut chips all on its own for a quick snack. It also tastes great in a bowl of honey sweetened yogurt, or on top of oatmeal. 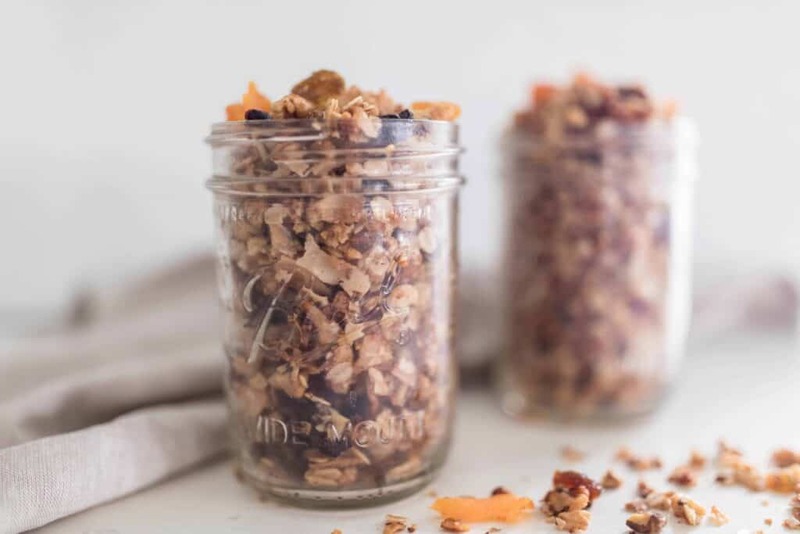 For this rustic granola recipe, I take coconut chips to make my chunky granola. I like to use pecans and walnuts for this recipe. I love how they taste and I love how they add more crunch to the rustic granola. Every kind of nut will taste really good in this rustic granola recipe though. Like macadamia nuts, almonds, pumpkin seeds, ect. I buy my nuts whole and then blend them up in my Ninja blender a little to chop them up. Make sure your dried free does not have any added sugar. I love to use dried apricots, dried cranberries, dried blueberries, and dried golden raisins. I bought my dried apricots at my local Aldi’s. I like to store my homemade rustic granola recipe in a glass container on the counter. You could also store it in the fridge as well. If you store the granola in the fridge, the dried fruit might become a little hard though. This homemade rustic granola is good for up to two weeks, but if your family is anything like mine it will be gone in one weeks time! 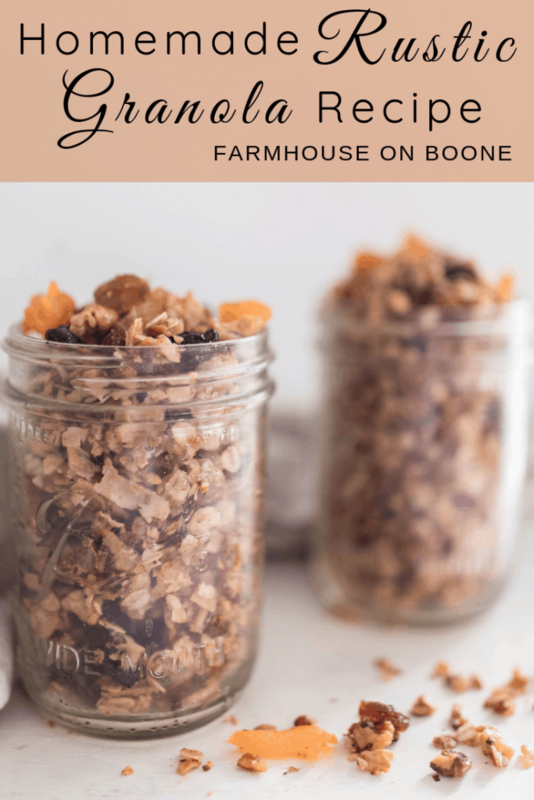 These rustic granola recipe with coconut, dried cranberries and apricots, is one of my favorite granola recipes. With a big glass of cold milk, it is the perfect Christmas fall and winter treat. This is so tasty—thank you so much for the recipe! Love all your recipes wish I could use some. Were gluten free ,soy free. Can’t have nuts, blueberys, fish eggs and it makes it so hard. Were do you find your milk?? I’ve been trying to find a farmer who has this, not easy. We love yogurt. I try to take some of your meals and change them to fit with what we can eat. Enjoy your blogs very much. I have some coconut chips leftover from another recipe and wasn’t sure how I was going to use them. I never considered adding them to granola! Thanks for this idea. I’m looking forward to making your chunky granola. Yes! They are perfect for granola. Adds a nice texture! I just made this and it is absolutely amazing! I also made the instant pot yogurt recipe that you posted and have been topping it with this granola. The kids love it. I feel really happy that I am learning to make healthy meals and snacks for my kids. Thank you for the recipe. I am saving it and sending it to mom friends! This is my new favourite granola!!! It is so delicious. I like my granola crunchy and this recipe turned out perfect. My husband brought some at work for a snack and everyone who tried it asked for the recipe. I sprinkle some on my greek yogourt as an afternoon snack. Thank you, Lisa!! One of my current pregnancy cravings at the moment is granola and the “basically just oats” stuff at the grocery store wasn’t going to cut it so I am so glad I found Lisa’s recipe! My only qualm is that the called for amount of honey is way too sweet for my taste so I halve it. Delicious with chopped dates and craisins! Your granola recipe is so yummy and flavorful! I’ve made it a few times for my family and we love it! Thanks for sharing the recipe! It would have been really helpful if she would have written all the instructions in the text of the recipe! For instance – that one needs to wait until after cooking to add the dried fruit. The written instructions do not say anything about when to add the fruit. And it turns out it kind of ruins the whole thing if you add the fruit before baking. Maybe that should have been obvious, but this was my first time making granola. This granola is AMAZING! 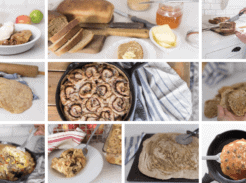 Love the recipe, love your blog and YouTube channel! 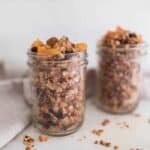 Interested as to why you soak oats in another one of your recipes, but not with your granola that you seem to eat frequently. I am new to your blog, but I’ve seen mention of your concern about phytic acid. Thanks! I hope I haven’t ruined mine. I put fruit in before cooking…didn’t watch video first. I pray that it is edible. 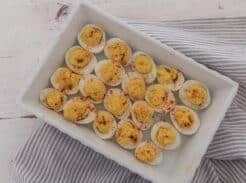 Great recipe but should watch video.